Prof Abbas Rajabifard as the Chair of the UNGGIM Academic Network and the member of the joint Reference Committee of the UNGGIM and World Bank for the Integrated Geospatial Information Framework-IGIF has participated in the First Expert Consultation and Meeting on the Development of the Implementation Guide of the IGIF, on 22-23 March in the World Bank Headquarter in Washington DC. 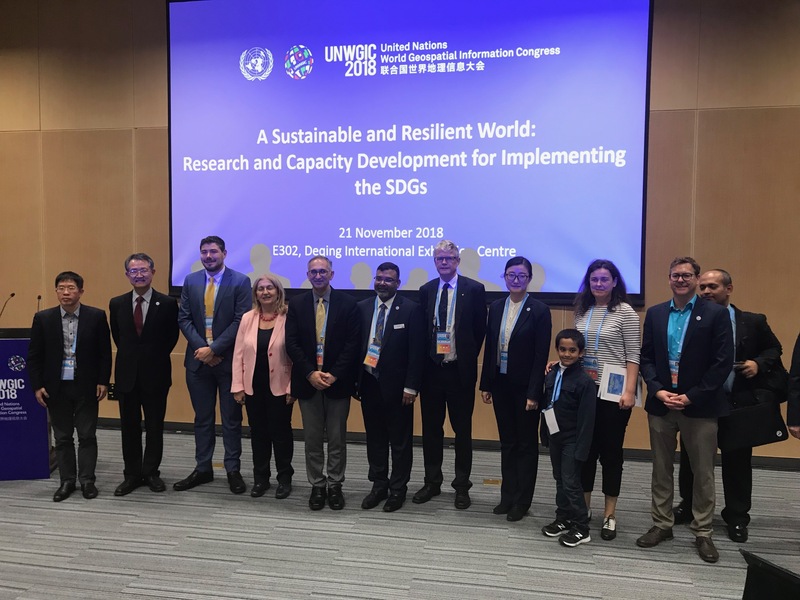 On the 21 November, Professor Abbas Rajabifard chaired and concluded a successful session at the first United Nations World Geospatial Information Congress (UNWGIC) in China on the theme of ‘A Sustainable and Resilient World: Capacity Building and Geospatial Research for Implementing the SDGs‘. This session was organised by the UN-GGIM Academic Network, which is chaired by Prof Rajabifard. During the session, Prof Rajabifard shared our recent work A Blueprint for Disaster Management RD&D Supporting the SDGs as a framework that establishes the detailed relationships between disaster management and the SDGs to guide future research, policy, and innovation for sustainable development and disaster risk reduction. Following the UNWGIC, Prof Rajabifard will visit the State Key Laboratory of Information in Surveying, Mapping and Remote Sensing (LIESMARS) at Wuhan University on the 24th of November to give a talk on ‘Enabling Business and Community – Resilience, 3D Land and Property, Urban Analytics’. You can read more about this talk here. Our Director, Prof Abbas Rajabifard will be chairing and presenting a session at the inaugural United Nations World Geospatial Information Congress (UNWGIC), as the Chair of the Academic Network for the UN Committee of Experts on Global Geospatial Information Management. The UNWGIC will be held in Dequing, Zhejiang Province, China from 19 – 21 November 2018, with an overarching theme “The Geospatial Way to a Better World”. It promises to be a global event that brings together stakeholders to address and ensure that geospatial information has its widest and fullest utility in service of social, economic and environmental development. The aim of the Congress is to provide a convening, participatory and inclusive environment to enhance the communication, understanding, knowledge and application of geospatial information management to address local, regional and global challenges. Prof Rajabifard will chair a session on the theme of ‘A Sustainable and Resilient World: Capacity Building and Geospatial Research for Implementing the SDGs. We are delighted to invite you to join us and participate in the International Symposium and Workshops on ‘A Smart Sustainable Future for All 2018‘ from 24–26 September 2018. 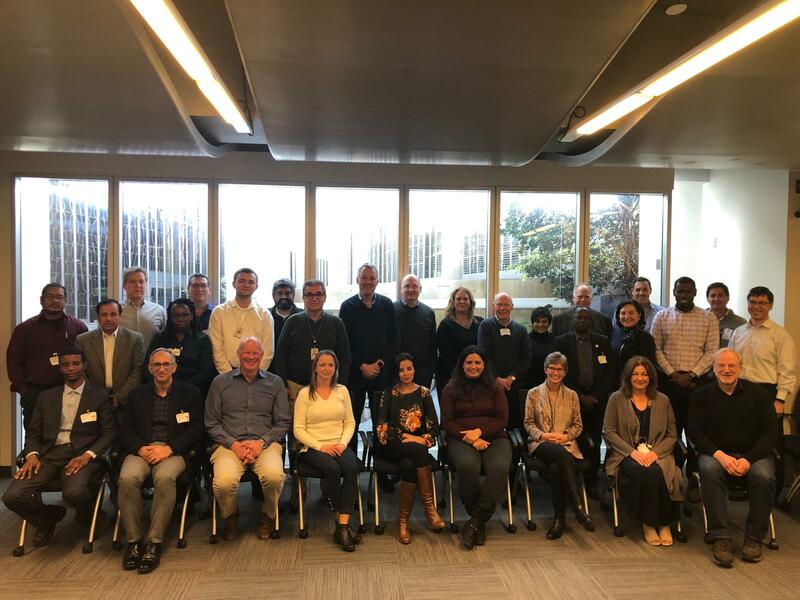 This event is hosted by the University of Melbourne’s Centre for Spatial Data Infrastructure and Land Administration (CSDILA) and Centre for Disaster Management and Public Safety (CDMPS), in co-partnership with The World Bank (the Global Facility for Disaster Reduction and Recovery and the Social, Urban, Rural and Resilience Global Practice), and supported by the UN-GGIM Academic Network as well as various national and international organisations. The symposium will bring together the academic and research community with frontline stakeholders in government, industry and professional bodies to explore the state of play (in knowledge and practice), identify local, national, and global challenges, and discuss recent research and innovative solutions that address all facets of achieving our common aspirations for a smart and sustainable future for all. During the symposium, we will release a major report on a research framework that links the Sustainable Development Goals (SDGs) with various facets of disaster management. The Symposium will be preceded by a one-day parallel workshop on Smart Land and Urban Data Management (Workshop 1) and Leading During Crisis and Developing a Next Generation Management Team (Workshop 2). The Symposium will feature invited keynote presentations, plenary panel forum and parallel technical presentations around the themes identified here. 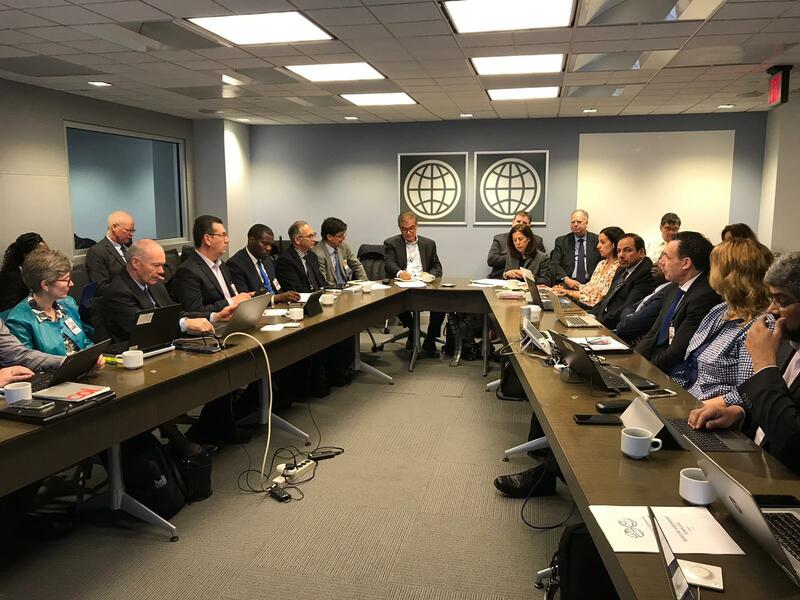 The event also includes a forum for the World Bank project on resilience and resilience impact of land and geospatial data infrastructure for disaster risk management. We hope to see you in Melbourne in September 2018! Register here, follow our twitter for updates @SSFuture18. The Academic Network meeting will be held on 2 August 2018 to discuss the Network’s Work Plan and our research agenda. The meeting will be help in Conference Room 12 (CR-12) between 8:00-10:00. You may find more information about side events, meetings and sessions here. 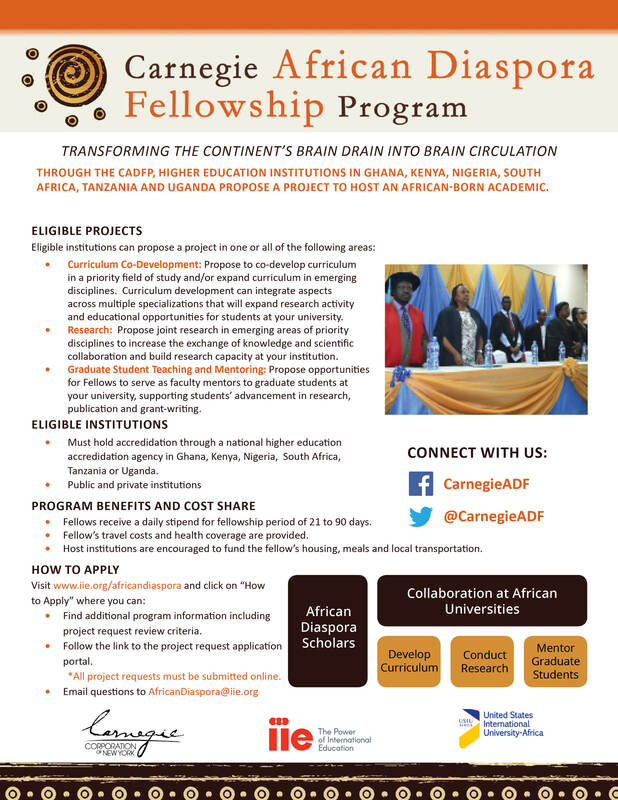 Applications are being accepted through July 6, 2018 at 11:59 PM EDT for the Spring 2018 competition of the Carnegie African Diaspora Fellowship Program (CADFP). For more information, visit their website. UNWGIC, Deqing, Zhejiang Province, China, 19-21 November 2018. 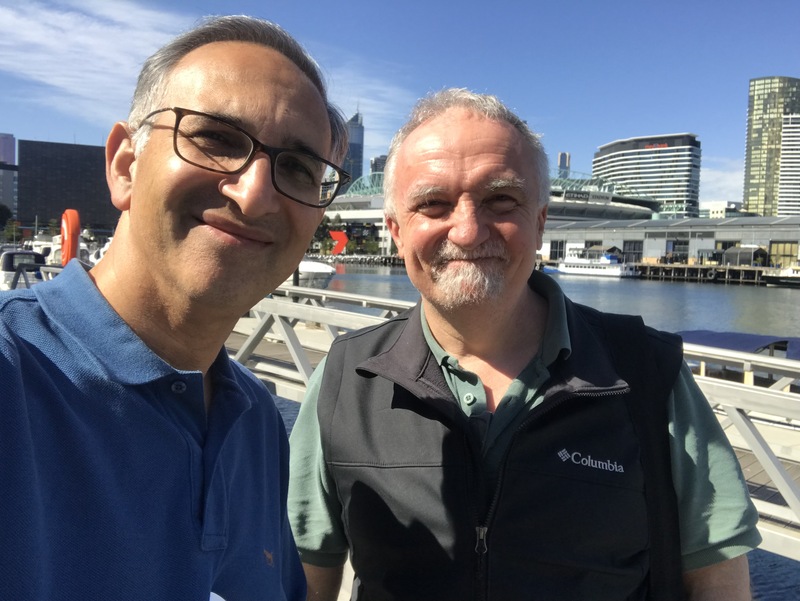 Professor Josef Strobl, member of the Academic Network Advisory Board (Head of Department of GeoInformatics, University of Salzburg), and Professor Abbas Rajabifard, Chair of the Academic Network, met in Melbourne, Australia. During Professor Strobl’s visit, the 2018 Work Plan and future activities were discussed as well as strategic areas of the Network’s capacity building activities and future plans for different regions active in the Academic Network. EO4Alps Summer School, June 24 – July 6, 2018 is one of the upcoming capacity building events that was discussed during the meeting. You may find more information about the summer school here. UPCOMING Academic Network Forum 2018! 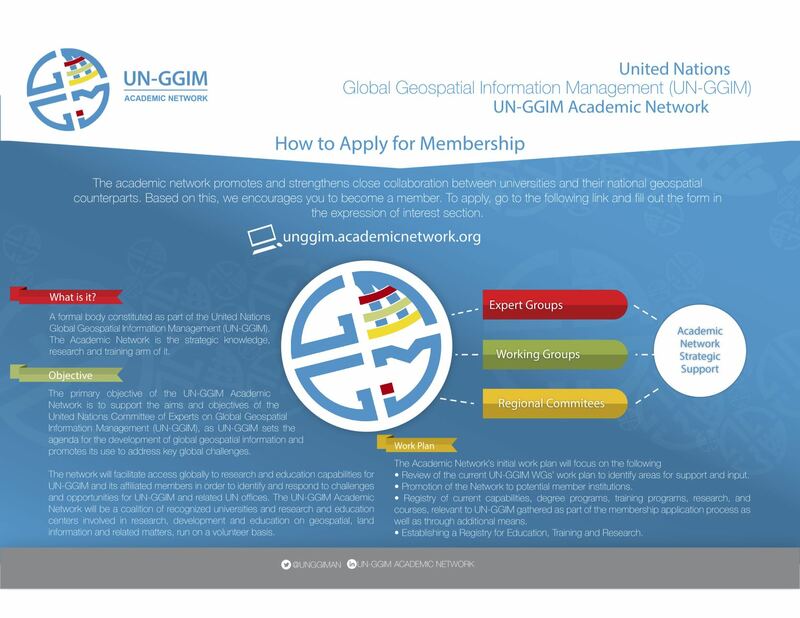 We are excited to announce that UN-GGIM Academic Network’s second annual forum will be held at the Eighth Session UN-GGIM at the UN Headquarters on Monday July 30, 2018 in CR3 from 14:00-18:00. The forum will focus on urban settlements, resilience, and sustainability. Check back to learn more about the forum theme and program.